Mission Statement Marine Corps League is an organization of dynamic, talented, civic minded men and women who want to make a difference in our community. Military experience is NOT required. We raise funds for Toys for Tots, Veterans, Elderly, high school scholarships. We also provide help in raising money at school functions at Halloween and spring carnival. Services and Projects Toys for Tots, Share-a-bear sales, Festival of Trees, Luminaries at Tlaquepaque..We share space with Giving Angels so they may have room to fill bags for the elderly. The Sedona Marine Corps League, in cooperation with the City of Sedona, will display American flags along Highway 89A during patriotic holidays throughout the year. We will be seeking donations to support this endeavor. The first flag display will take place from Thursday, November 9 until Monday, November 13 in celebration of Veterans Day. The Arizona Department of Transportation has granted approval for the City of Sedona and the Sedona Marine Corps League to display American flags from fifty light poles along 89A in honor of Veterans Day. Next year, we hope to increase the number of flags permitted for this patriotic display. Flags will be hung just prior to upcoming holidays and remain on display for several days. Planned holidays for displays in 2018 are Presidents’ Day, Armed Forces Day, Memorial Day, Flag Day, Independence Day and Veterans Day. Volunteers interested in helping with this project should contact Ray Ojeida at 219-712-0489 or Ray Stueve at 928-821-3300. Fundraising will support flag display and the organization’s other charitable efforts. We are currently seeking volunteers to help us with preparation for our holiday season activities. 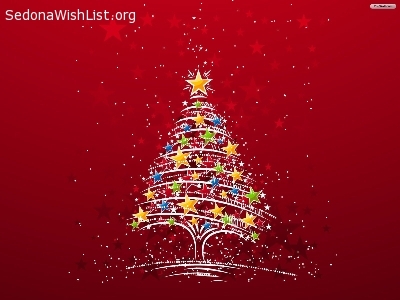 We need tree decorators and centerpiece makers to help us decorate small to medium size Christmas trees and create table top decorations for the Red Rock Fantasy/Tinsel Town at Tlaquepaque celebrations (formerly called Festival of Trees). Volunteers can join us at the former location of Red Rock Dollar Store next to Basha’s. Once all the decorating is complete, the Sedona Marine Corps League will be setting up a boutique at Tlaquepaque to sell the items for fundraising. We will be preparing the boutique on November 29 and 30 and need volunteers to help put it all together. We also need help to staff the booth where the decorations will be sold. Volunteers will tend the boutique in a heated tent in the North Patio area of Tlaquepaque. Shifts will be two hours long, from 5 to 7 p.m. and from 7 to 9 p.m. on Thursday through Sunday each week in December. We will need four people per shift. Sales dates are December 1, 2, 3, 4; 8, 9, 10, 11; 15, 16, 17, 18; 22, 23 and 24. We welcome all community members to join us in making this holiday event a great success for all. Please call Ray or Theresa at 928-821-3300. Sedona Marine Corps League WANTS YOU! We Want You! The Sedona Marine Corps League is looking for a few good men and women to join us in service to our community! The Marine Corps League welcomes all men and women ― active duty and veterans of all US service branches and non-veterans alike. Our organization is open to all members of the Sedona and Verde Valley areas who would like to volunteer and participate in civic and social programs that benefit the community at large. In addition to helping to serve the needs of local veterans, the Sedona Marine Corps League contributes to a variety of programs and organizations in Sedona and the Verde Valley. Programs supported include Toys for Tots, Veterans History Project, Marines Helping Marines (wounded warrior program), Verde Valley Caregivers, Court Appointed Special Advocates, Verde Valley Adult Reading Program, and annual scholarship awards to Red Rock High School graduating seniors. 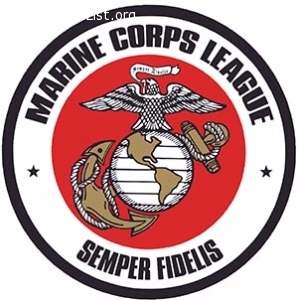 The Sedona Marine Corps League meets on the 2nd Thursday of each month at 6PM at the Sedona Elks Lodge, 110 Airport Road, Sedona. Visitors are welcome. For more information, contact Monte MacConnell at 208-860-2902, Ray Stueve at 928-821-3300 or visit sedonamarines.org. The Sedona Marine Corps League Detachment #1237 is an all-volunteer organization made up of active duty and retired members of all Armed Services as well as members of the community-at-large. The Marine Corps League is a non-profit organization as designated by IRS code 501(c)3. We are community oriented and all funds raised are designated for projects in Sedona and the Verde Valley.